YMCA Child Care Resource and Referral - Quality child care is the right of every child. The YMCA Child Care Resource and Referral (CCRR) program helps parents and caregivers in Coquitlam, Port Coquitlam, Burnaby, New Westminster, Anmore and Belcarra with child care information, support and resources. One of the core services the YMCA CCRR offers is helping empower parents in making an informed decision when choosing a child care provider for their child. Together with parents we talk about their child care choices, and help them understand the differences between the variety of licensed and license-not-required care types. The CCRR program provides parents with child care referrals, information and resources that help them make an informed decision on their child care choice. We encourage families to make a decision on child care based on their family’s needs. When child care is in place, we encourage and help explain the innovative and informative ways in which parents can remain involved in their child’s care. Or, if questions or concerns ever do arise about their child’s right to peace, safety and a clean environment while in child care, we can help families by listening and providing them with resources. Child care providers have much to gain through the YMCA CCRR’s services. We are a source of support in understanding and embracing quality child care. 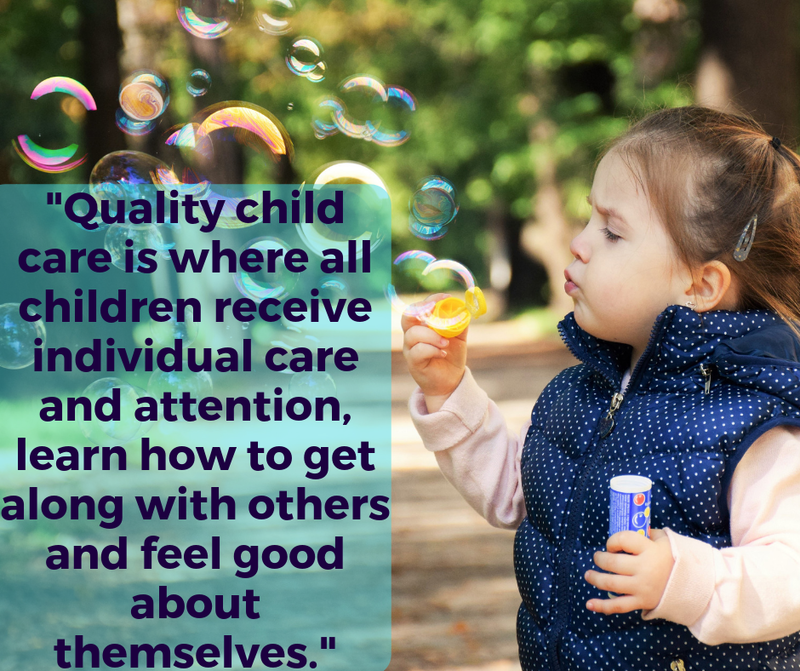 Quality child care is where all children receive individual care and attention, learn how to get along with others and feel good about themselves. Quality child care is a clean, safe and comfortable environment, with a quiet space for rest or sleep, as well as both indoor and outdoor play areas. A wide range of toys and equipment for play and learning should be available for children with different needs. Quality child care has the needs and rights of a child utmost in mind, and we offer many programs and resources that work to uphold these foundations of quality child care. Throughout the year we host a variety of professional development opportunities that are designed keep child care providers and parents up to date on the latest research in the child care field. We also provide networking opportunities that are for child care providers to meet other professionals in their field, to create a network of support and to share challenges and best practices. Through the YMCA website we have a Child Care Resource & Referral Blog with information that includes child care government announcements, articles, professional development, community resources, and fun activities for families in our community. 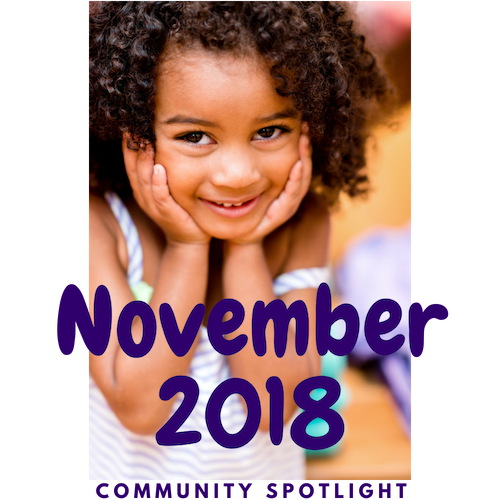 The YMCA CCRR offers child care providers a Toy and Resource Lending Library that is full of books, games, puzzles, musical instrument and felt stories to help enrich children's experiences in child care. We offer Licence-Not –Required child care providers an opportunity to register with the CCRR so that they can offer families with children in their care the opportunity of increased Affordable Child Care Benefits. The benefits, resources and support the YMCA CCRR offers is to help ensure that families have an opportunity to find quality child care for their children. Quality child care is the right of every child. As a Neighbourhood Police Officer with Metro Vancouver Transit Police, I get to attend community events and give talks in the Tri-Cities. One of the best things about my job is meeting children and teaching them about transit safety. Keep valuables hidden away. Keep your belongings close to you and not on the seat beside you. MPower Lives’ mission is to focus on shifting the ‘bullying culture’ through educating and inspiring children, youth, adults and seniors to feel confident, valued and responsible in our world today. We believe that no one is you, and that is your power. MPower Lives focuses on key solutions to prevent bullying and promote health and physical wellness through mpowering each individual to have personal awareness and responsibility, mental health and wellness strategies, relationship building skills, self-management tools, safety strategies and social awareness responsibility. We deliver our training with a teaching method that combines the uniqueness of self-defense/martial arts, yoga and qigong techniques, basic life skills communicative practices, stress management techniques, social and emotional learning, and holistic alternatives to support the mind, body, and spirit connection. MPower Lives offers programs for children in the Tri-Cities at their schools, child care facilities and in the community. Our curriculum is cohesive to the new BC Curriculum Core Competencies concentrating on personal awareness and responsibility, cultural identity, and social responsibility. Both children and parents end up benefiting from the courses we offer, as parents witness their children’s behaviour transform in positive ways and are given tools that are valuable in everyday living whether at home, in the community, or at school. With programs like MPower your Inner Ninja, we help participants feel confident. We also help participants understand themselves and others while maintaining boundaries of honesty, respect and compassion. This is done in an atmosphere of safety where participants can talk about emotions and use mindfulness strategies, including focused breathing and movement, to control their behaviours. These strategies also support how they navigate themselves and their relationships. The emphasis is on guiding kids to find the spark within and gravitate to what intuitively feels good. When kids are connected to something positive with caring adult role models they can model a more positive and caring approach towards others. Michelle Tremblay, founder of MPower Lives Company, is highly recognized as a powerful speaker, great motivator and compassionate leader. Michelle is a director on the Board of I AM SOMEONE Ending Bullying Society and also partners with School District 43 and Do What U Luv Foundation. She was a finalist for the Extraordinary Leader Award in the Community Builder & Connectors category of the Women’s Collaborative Hub 2018 Women Influencers Awards. Over the years, she has worked with over 15,000 participants. Michelle is passionate about honouring the rights of children and building their resilience through self-awareness with respect, fun and safety. The Canadian Coalition for the Rights of the Child has a survey for children and youth age 6 to 18 living in Canada. The survey results will help the Coalition write a report to submit to the Committee on the Rights of the Child, who will soon be reviewing Canada on how well it is doing to uphold the rights of children and youth. Equitas advances equality, social justice and respect for human dignity in Canada and around the world through education. The Spirit of the Children Society walks in love, honor and respect to learn, share our identity, and heal together. Spirit of the Children lists their programs and events on their website, which includes ECD and youth programs. RavenSPEAK is a learning space, speaker showcase event, and Indigenous Speakers Hub. RavenSPEAK is where Indigenous leaders and storytellers are visible, masterful, amplified, and connected. Where stories are told, truths are unearthed, voices are heard, and a new narrative begins. Together we will elevate the compelling voices, vital messages, and remarkable profiles of Indigenous peoples. RavenSPEAK: Amplified is an evening showcase event on December 11, 2018, with incredible Indigenous change-makers sharing personal, punchy, passionate, powerful talks. Vancouver Civic Theatres is a co-presenter at the Annex - a spunky venue in the heart of downtown Vancouver. Villages and Cities in the Tri-Cities area take action on safety and the environment. Below are links to pages that provide information on how each Village and City takes action.